"Slaves fervently wishing to live like a human being VS. Slave hunters chasing them tirelessly. A bloody battle between them begins to take place!!!" 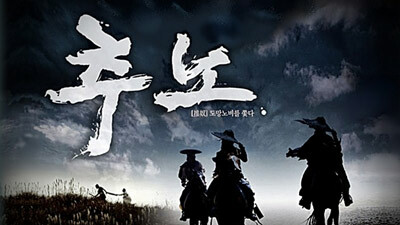 Being a slave hunter, Daegil is disregarded by people due to his low social status. While doing his job, Daegil is offered by Lee Gyongsuk to get Song Taeha and is promised to be given a fair amount of money as a reward. Taeha was forced to become a state slave as he was wrongfully accused of stealing some provisions. After reading a secret message saying the life of Sohyeons youngest son is on the line, Taeha tries to escape in an attempt to save him, the eldest son of the Crown Prince. Daegil, however, gets wind of his plan and the two ends up fighting a bloody fight. Having barely escaped from the fierce fight, Taeha happens to accompany a woman named Hyewon. Daegil fails to track down the slave he was first assigned to capture, and constantly runs into Seolhwa who escaped from a troupe of strolling actors. To make things worse, Daegil is threatened to be killed by a group of slaves who formed a hit squad to assassinate nobles. As for Daegil, he has every reason to be successful in accomplishing his first mission. Aside from recovering his pride hurt by Taeha, Daegil needs a sizable sum of money to live a comfortable life in his old age. In the end, Taeha manages to run away from Daegil while Daegil feels affection for Hyewon.